Colour & Shine Organic Shampoo + Conditioner Bundle for Coloured & Treated Hair by Madara , save money when you buy your Shampoo and Conditioner in a bundle. 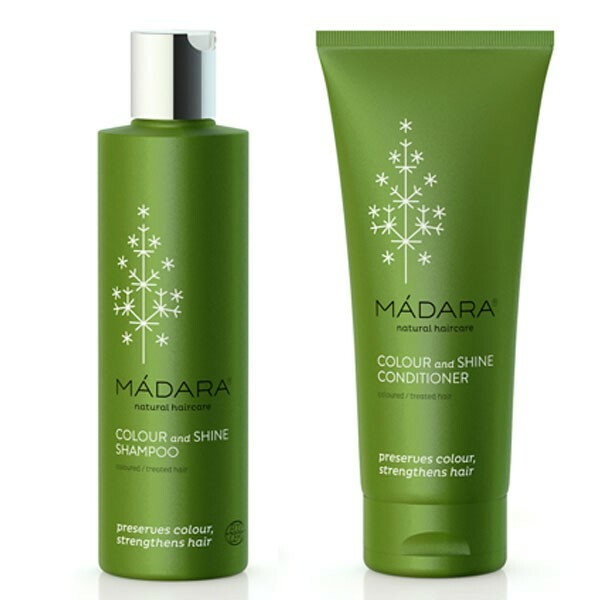 Madara Colour + Shine Shampoo - This rich shampoo adds vigour, shine and vibrancy to coloured and treated hair. Contains a colour preserving formula that gently cleanses and invigorates treated and coloured hair. Madara Colour + Shine Conditioner - Rich and creamy conditioner helps preserve colour, deeply nourishes and protects treated and coloured hair. Hair will be silky smooth and easier to style.